Istanbul, Turkey, 26th Jun, 2016: Aircraft is landing to Istanbul Ataturk Airport Image: iStock. Sanctions imposed by four countries cut transport, trade, and diplomatic ties with Qatar. Sanctions imposed on Qatar by Saudi Arabia, the United Arab Emirates (UAE), Egypt, and Bahrain have forced the country to suspend planned new routes to Africa. The quartet accuses Doha of having links to extremist groups thus some planned new destinations in West and Central Africa have been cancelled, Arab News reported. Since the 2017 boycott, Qatari jets have been banned from the airspace of its three Gulf neighbours, forcing flights to carry out large detours. The sanctions imposed by the four countries cut transport, trade, and diplomatic ties with Qatar after they accused the latter of funding “terror groups” and interfering in their internal affairs. 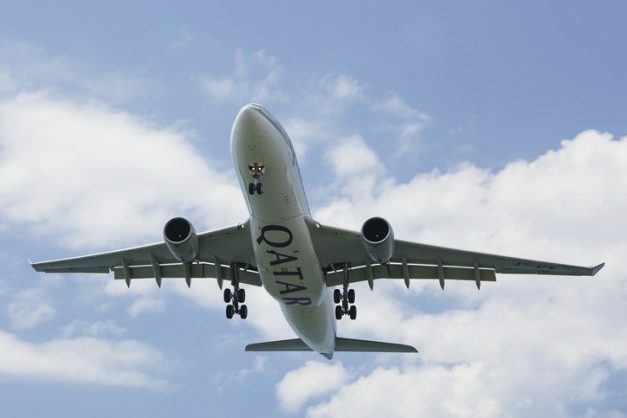 Akbar Al Baker, Qatar Airways’ chief executive, has blamed the boycott for the airways’ financial losses. Since September last year, the airline said it suffered a $69 million loss for the financial year and the severance of ties with other Arab countries had left it in the red. “Due to the unjust blockade against Qatar, we had to suspend some planned new destinations especially in West and Central Africa, highlighting how the illegal blockade has not only impacted my country but also other innocent countries,” said Al Baker in a tweet.